NFRC is delighted about this appointment. 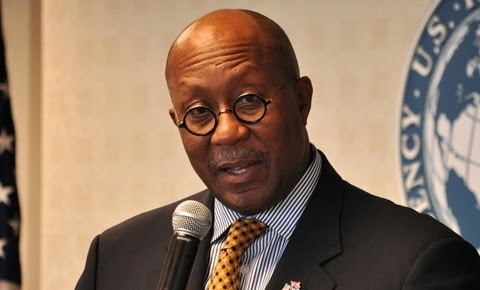 Ambassador Ron Kirk, former U.S. Trade Representative and mayor of Dallas, has been named co-chair of the Clean and Safe Energy (CASEnergy) Coalition. Kirk joins former EPA administrator Christine Todd Whitman, who has served as the coalition’s co-chair since its 2006 launch. In his role as the CASEnergy Coalition Co-Chair, Kirk will provide perspectives on how electricity choices impact local communities, and how investments in advanced energy technologies today will better prepare America to compete in the global marketplace. Kirk is currently Senior of Counsel for Dallas-based Gibson, Dunn & Crutcher with a focus on strategic advice pertaining to global interests. His leadership as U.S. Trade Representative under President Obama will help provide policy leaders and other audiences a broader understanding of the role nuclear energy plays in creating and sustaining American jobs. The global market for nuclear energy trade is estimated at $500 billion to $750 billion over the next decade. The Clean and Safe Energy Coalition is a national grassroots coalition that promotes the economic and environmental benefits of nuclear energy as part of a clean energy portfolio. The coalition is comprised of more than 3,400 members across the business, environmental, academic, consumer, minority, and labor communities. To learn more about the coalition, please visit www.CleanSafeEnergy.org, follow us on Twitter @CASEnergy, and checkout theirr blog, Clean Energy Buzz.